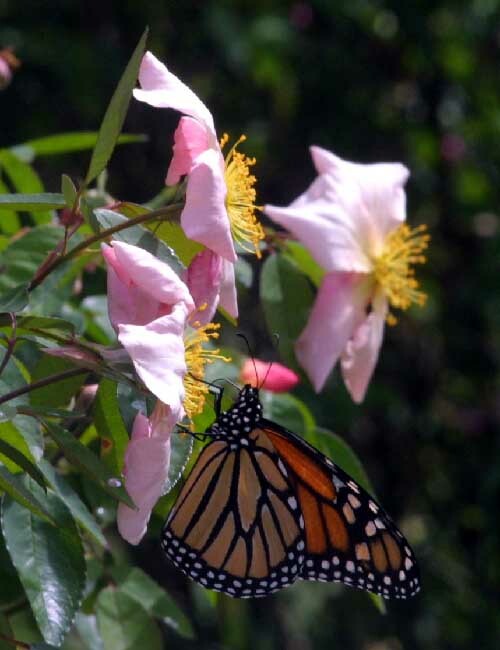 This butterfly probably was not attracted because he was fooled into thinking there were other butterflys on this 'Mutabilis'. 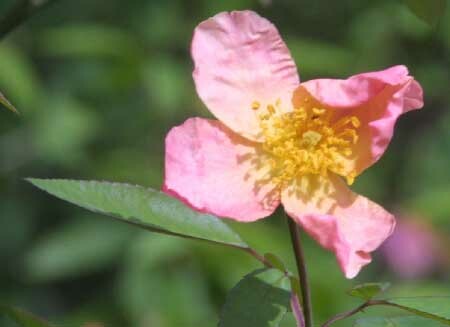 This rose is also known as “The Butterfly Rose'. When you see it in bloom, you'll understand why. 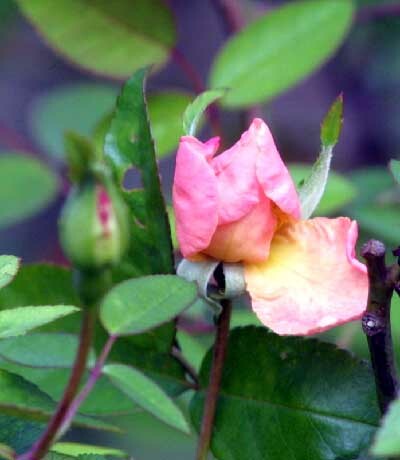 The buds are orange, then they open a delicate yellow, and in true China fashion, they darker with age to crimson. 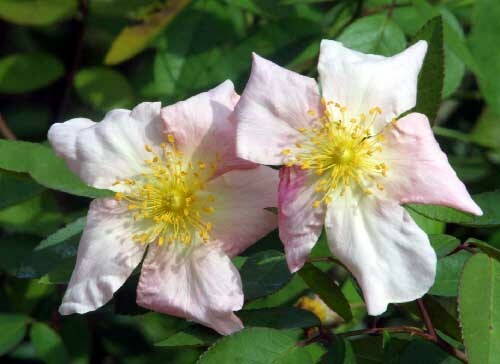 Our `Mutabilis' are big shrubs: 5-6' tall. They bloom so fast that deadheading them is a losing battle! 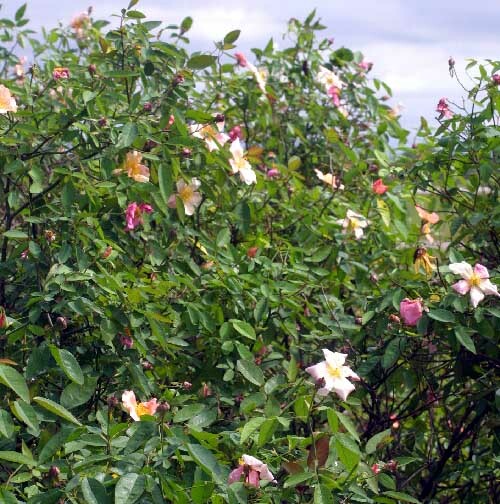 Being EarthKind certified, Mutabilis has been proven to be one of the easiest roses to grow. Other than shaping it twice a year with hedge clippers, we don't touch it. Note the many colors of blooms within the same bush. 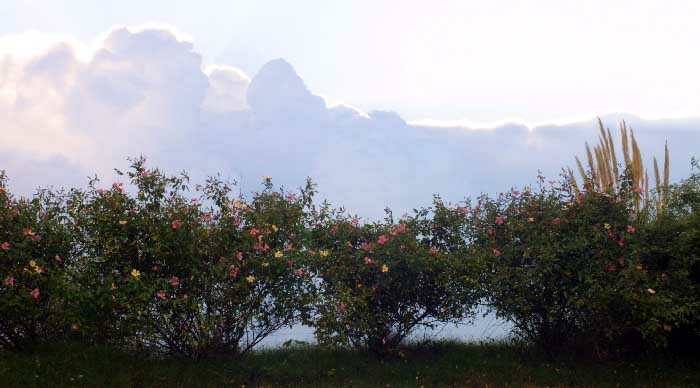 Our hedge of 'Mutabilis' crowning a hill in one of our gardens.